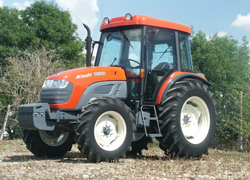 The DK range is built to extremely high specifications, and features the Kioti ‘Green Engine’. 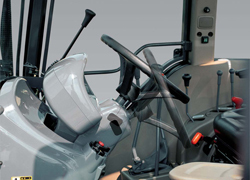 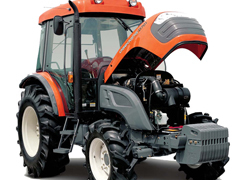 All tractors use mechanical transmission with full syncromesh, including on the forward / reverse shuttle. 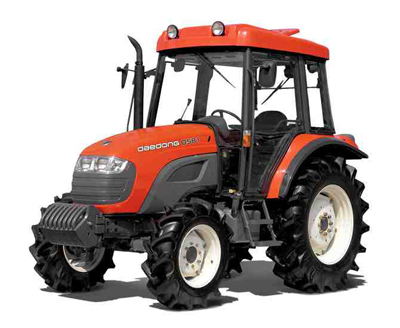 Creep speed is fitted as standard - essential for many groundcare applications. 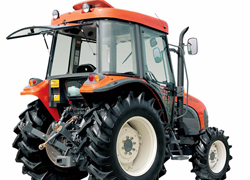 All DK tractors are available with ROPS frames. 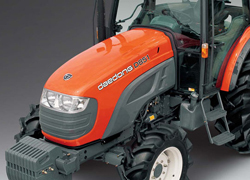 Weatherproof cabs are optional on the smaller DK35 and DK40, while the DK45 and DK50 are available with full safety cabs including heater, air conditioning, radio / cassette, opening roof and full working lights as standard. 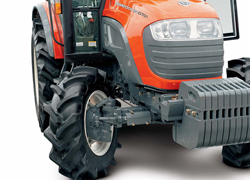 A full range of accessories is available for the Kioti DK series, including front loaders, backhoes, front linkage / PTO units, and hydraulic drop-down hitches.